Looks like even flash floods can’t keep the Aussie down and out! Over the past week, AUD/USD has been rocketeering up the charts like my boyz from Far East Movement, hitting a new all-time high at 1.0257. However, taking a look at Stochastic, it seems that the bulls may be running out of steam, as Stochastic has just crossed over and appears to be exiting overbought conditions. Keep an eye on this pair over the next few days, and if three black crows form and close below parity, it may be a sign that AUD/USD could be headed Down Under! 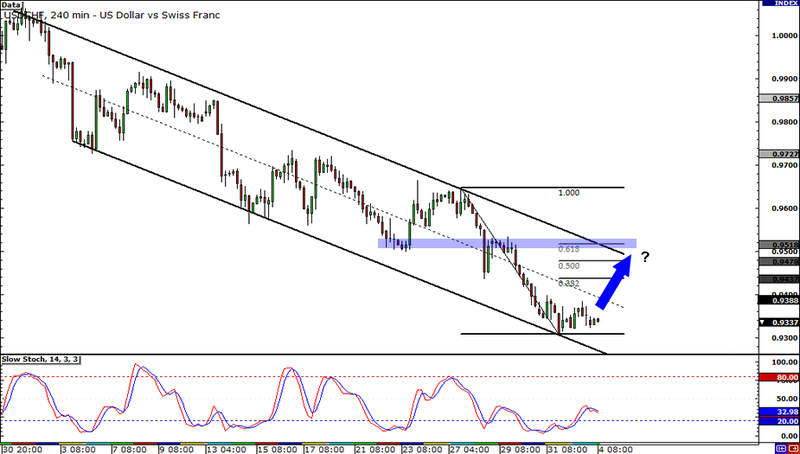 I know you were probably hittin’ the club during holidays, but I hope you didn’t miss that descending channel on USD/CHF! It looks like the pair is just chillin’ at the support area around .9300. If we bust out the Fib tool, we see that USD/CHF could retrace some of its losses back to the 61.8% Fib level and test the resistance at the top of the channel before sellers do their thang and push it lower. But don’t be so sure on shorting USD/CHF just yet because there may just be enough buyers lurking at that level to hustle out it out of the channel! 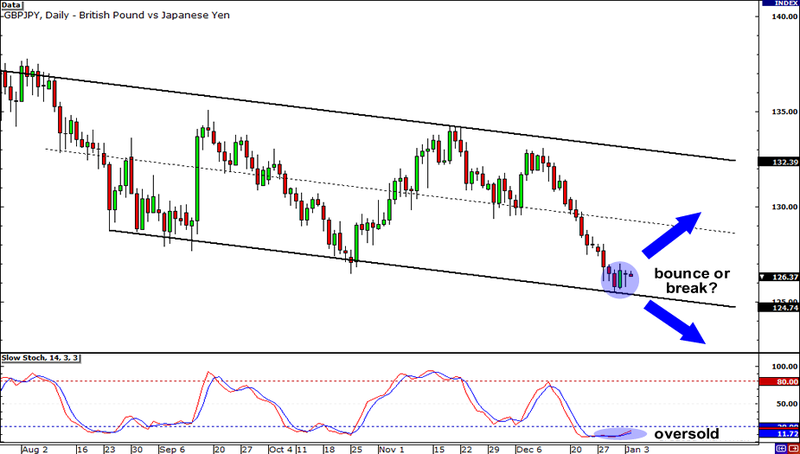 A similar setup can also be seen on the daily chart of GBP/JPY, as the pair is also hangin’ out at the bottom of a descending channel. 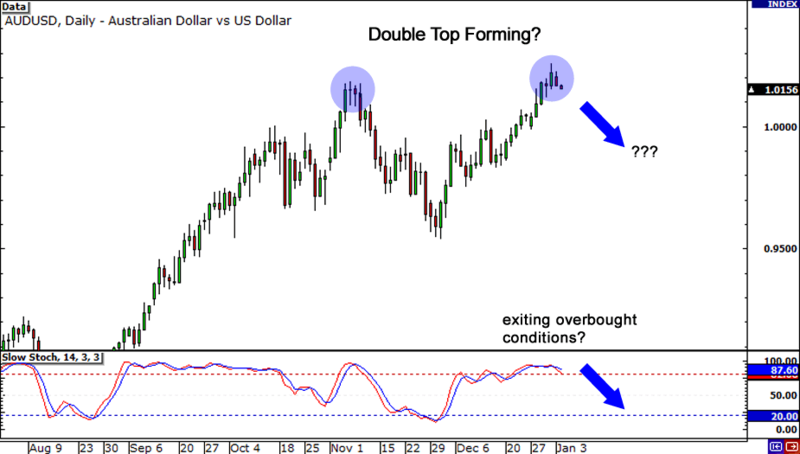 Stochastic is hinting that buyers could be struttin’ their swagger soon with the lines being in the oversold area. However, just like my home boy Bruno Mars who is my bet for the Breakout Artist Of The Year Award for this year’s Grammys, the pair could also stage a break below the channel and fall all the way to 122.60 where it has previously found support.